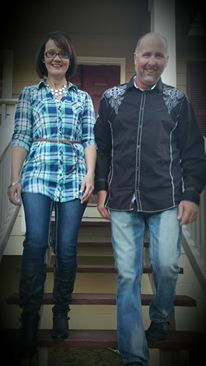 Pastor Tony & Rhonda Hagan are the Sr. Pastors of The Bridge Church in Sunny Hills, FL. Pastor Tony seeks to hear what the heart of God is saying to His people. He has an appointment from God for this season in the church world. His messages are uniquely anointed with down to earth illustrations that inspire the youth as well as the adults. He is blessed with the ability to preach the truths of the Word of God with a sense of humor. His messages are filled with revelation knowledge on how to live for God in today’s world. Pastor Tony was trained under Pastor Paul Estes at Christ Church International, Dothan, AL. He started in Pastoral Ministry in 2002 as a youth Pastor. He stepped out into full time ministry in 2004 under the guidance of Rev. Willis Hagan, DOT. He has been all over Florida and parts of Alabama holding revival meetings for Pastors. Pastor Tony and Rhonda were married in January 1996. They have three awesome boys, Kaleb, Tony, Jr. and Kody and one grand baby Kolton.